For more than a hundred years, we have hosted meetings of different kinds. Because of this, we are confident that we can help you arrange unforgetable meetings of all kinds. 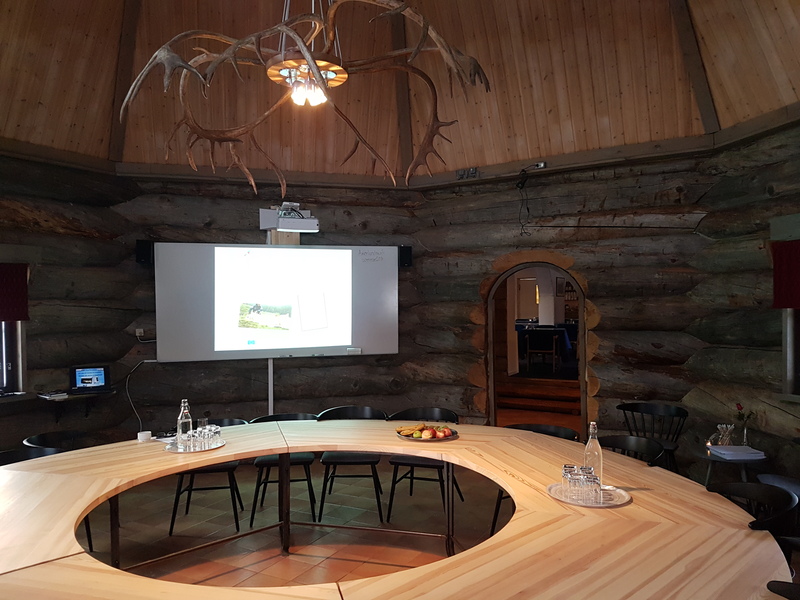 Our beautiful log hut with six meters of headroom and a round-table form offers a creative and inspiring environment for meetings and conferences. With room for up to 25 people, it is well suited for board and management meetings, educational meetings, lectures and presentations. All packages can be customized to include first-class food from our restaurant (breakfast, lunch and dinner) and accommodation at the hotel. The dinners are a three-dish served meal based on local products and northern-Swedish cuisine. Contact us to find out more about how Hotel Akerlund can be the perfect host for you and your group! 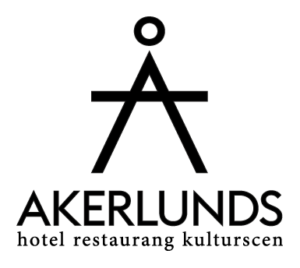 For meetings with accommodation, you and your company will stay at the Akerlund hotel, which has been in operation for almost a hundred years – having had three generations of owners. The hotel has both single and double rooms. 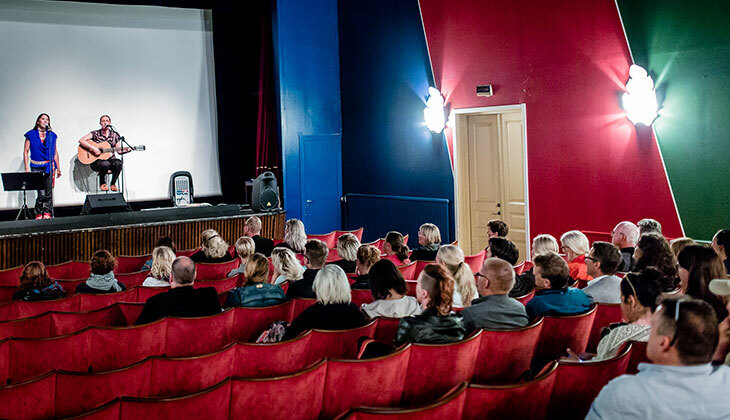 We can also offer meetings and events with up to 195 seated guests, in the old cinema Bio Norden located next to Hotel Akerlund. As one of the oldest cinemas in northern Sweden, it is a building with an amazing history. Bio Norden (“The Nordic Cinema”) has been preserved in a classic fashion, and it is well reknowned both for its acoustic properties as well as being well-equipped for speakers, concerts and stage plays. Of course, it has all the basic equipment for a modern meeting room and for stage presentations. Hotel Akerlund is a member of Destination Jokkmokk, the local network of companies working together to offer guests and visitors in Jokkmokk a lot more than just a great meeting location. Depending on season, you can book a wide range of activities ranging from sled dog tours, snowmobile excursions, midnight sun hikes, visits to local reindeer herders (the indigenous Sámi people), handicraft, tours into the Laponia world heritage area and much, much more. Hotel Akerlund knows what it takes to create a truly unforgettable experience – both in the meeting room and outside. Contact Joel or AnnJeanette to find out more about Hotel Akerlund as your host and the experiences we can offer you!